Instead of joining the Willie Kirk and Chris Roberts reunion as Bristol City Women took on Everton Ladies, I decided to make the short journey to the Gerard Buxton Sports Ground for the South-West Women’s Football League Eastern Division’s top of the table clash between Royal Wootton Town FC and Frampton Rangers FC who lead the league by one point. A splattering of spectators on a blustery cold afternoon and after an extensive lecture in the middle by the referee, the game began. Frampton began the quicker and two well-taken shots tested the Bassett keeper Abi Footner. The home team began to find there feet with right-sided attacker Emily Arrell sending in a cross that was smothered by the Frampton Keeper. 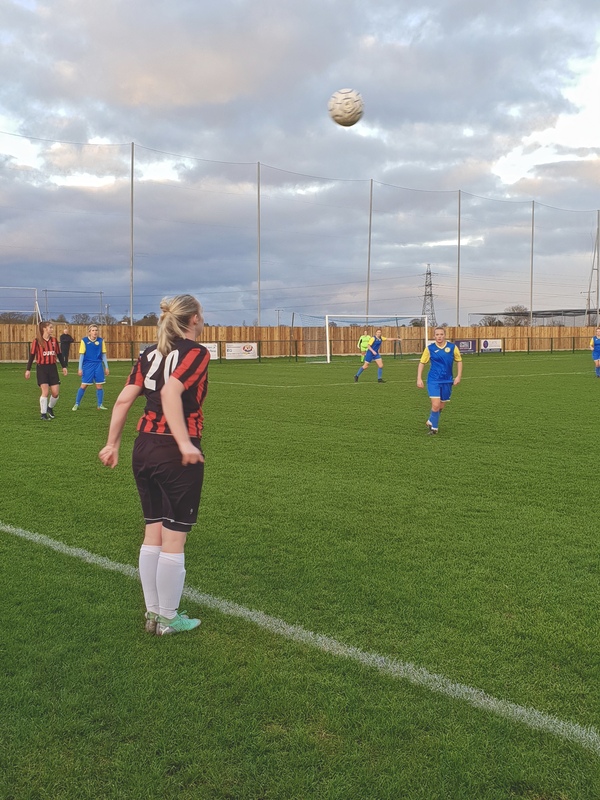 She was immediately in the action again with a shot from the right that lobbed the Frampton keeper who wasn’t able to deal with it properly in very windy conditions. Bassett were now in the ascendancy although Frampton had a shot from the very energetic midfielder Beth Kelloway that just missed. On the half-hour mark, Arrell sent in a beautiful cross from the right that found Hayley Huckin, who doubled Bassetts lead. She could have had a second a minute later but couldn’t control the ball. At the end of the half, Frampton gave themselves a lifeline with a stunning shot from way outside the area that hit the crossbar and Chloe Timbrell reacted quickest scored off the resulting rebound to reduce the deficit to one at half-time. Frampton were much better in the second half with Bassett keeper Footner called into action. She made multiple saves and Bassett’s defence stood firm as Frampton pushed for an equaliser. Bassett had the chance to kill the game off late on with a beautifully skilful move involving midfielder Lauren Kayll and Huckin that just went wide. It finished 2-1 and the win sent Jonny House’s top of the league, leapfrogging Frampton in the process. A superb game and the race for the division between these two teams should be a good one. 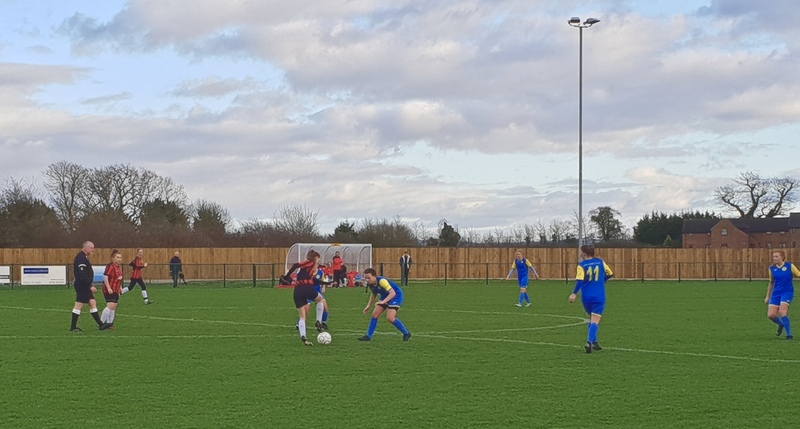 That was my final match of 2018 in what has been a very exciting first half of the season both in the newly professional WSL and the ever-expanding & improving grassroots game. I’d like to thank you all for reading my reports and wish you all Merry Christmas and a Happy New Year in what will be a scintillating 2019 with the conclusion of what will be some close domestic leagues and obviously a very exciting world cup in the summer.